Not to be confused with Sicels, also called Siculi in Latin. "Secui" redirects here. For the village in Dolj County, Romania, see Teasc. For other uses, see Székely (disambiguation). The Székelys (Hungarian pronunciation: [ˈseːkɛj]), sometimes also referred to as Szeklers (Hungarian: székelyek, Romanian: Secui, German: Szekler, Latin: Siculi), are a subgroup of the Hungarian people living mostly in the Székely Land in Romania. A significant population descending from the Székelys of Bukovina lives in Tolna and Baranya counties in Hungary and in certain districts of Vojvodina, Serbia. In the Middle Ages, the Székelys, along with the Transylvanian Saxons, played a key role in the defense of the Kingdom of Hungary against the Ottomans in their posture as guards of the eastern border. With the Treaty of Trianon of 1920, Transylvania (including the Székely Land) became part of Romania, and the Székely population was a target of Romanianization efforts. In 1952, during the Socialist Republic of Romania, the former province of Mureș, Romania (with the highest concentration of Székely population), was legally designated as the Hungarian Autonomous Region. It was superseded in 1960 by the Mureș-Hungarian Autonomous Region, itself divided in 1968 into three non-autonomous counties, Harghita, Covasna and Mureș. In post-Cold War Romania, where the Székelys form roughly half of the ethnic Hungarian population, members of the group have been among the most vocal of Hungarians seeking an autonomous Hungarian region in Transylvania. They were estimated to number about 860,000 in the 1970s and are officially recognized as a distinct minority group by the Romanian government. Today's Székely Land roughly corresponds to the Romanian counties of Harghita, Covasna and central and eastern Mureș. Based on the official 2011 Romanian census, 1,227,623 ethnic Hungarians live in Romania, mostly in the region of Transylvania, making 19.6% of the population of this region. Of these, 609,033 (according to the 2011 Romanian Census) live in the counties of Harghita, Covasna and Mureș, which taken together have a Hungarian majority (58%). The Hungarians in Székely Land therefore account for half (49.41%) of the Hungarians in Romania. When given the choice on the 2011 Romanian census between ethnically identifying as Székely or as Hungarian, the overwhelming majority of the Székelys chose the latter – only 532 persons declared themselves as ethnic Székely. The Székelys derive their name from a Hungarian expression meaning "frontier guards". The Székely territories came under the leadership of the Count of the Székelys (Latin: Comes Siculorum), initially a royal appointee from the non-Székely Hungarian nobility who was de facto a margrave; from the 15th century onward, the voivodes of Transylvania held the office themselves. The Székelys were considered a distinct ethnic group (natio Siculica) and formed part of the Unio Trium Nationum ("Union of Three Nations"), a coalition of three Transylvanian estates, the other two "nations" being the (also predominantly Hungarian) nobility and the Saxons (that is, ethnic German) burghers. These three groups ruled Transylvania from 1438 onward, usually in harmony though sometimes in conflict with one another. During the Long Turkish War, the Székelys formed an alliance with Prince Michael the Brave of Wallachia against the army of Andrew Báthory, recently appointed Prince of Transylvania. The origin of the Székelys has been much debated. It is now generally accepted that they are descendants of Hungarians (or of Magyarized Turkic peoples) transplanted to the eastern Carpathian Mountains to guard the frontier, their name meaning simply "frontier guards". The Székelys have historically claimed descent from Attila's Huns and believed they played a special role in shaping Hungary. Ancient legends recount that a contingent of Huns remained in Transylvania, later allying with the main Hungarian army that conquered the Carpathian Basin in the 9th century. The thirteenth-century chronicler Simon of Kéza also claimed that the Székely people descended from Huns who lived in mountainous lands prior to the Hungarian conquest. Some scholars suggested that the Székelys were simply Magyars, like other Hungarians, transplanted in the Middle Ages to guard the frontiers. Researches could not prove that Szeklers spoke a different language. In this case, their strong cultural differences from other Hungarians stem from centuries of relative isolation in the mountains. Others suggested Turkic origin as Avar, Kabar or Esegel-Bulgar ancestries. 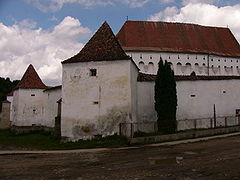 Some historians have dated the Székely presence in the Eastern Carpathian Mountains as early as the fifth century, and found historical evidence that the Székelys were part of the Avar confederation during the so-called Dark Ages, but this does not mean that they were ethnically Avar. Research indicates that Székelys undoubtedly spoke in Hungarian. Toponyms at the Székely settlement area also give proof of their Hungarian mother tongue. The Székely dialect does not have more Bulgaro-Turkish loan-words derived from before the Hungarian conquest of the Carpathian Basin than standard Hungarian does. Even if the Székelys had been a Turkic stock they had to have lost their original vernacular at a very early date. A study estimating possible Inner Asian admixture among nearly 500 Hungarians based on paternal lineages only, estimated it at 5.1% in Hungary, at 7.4% in Székelys and at 6.3% at Csangos. It has boldly been noted that this is an upper limit by deep SNPs and that the main haplogroups responsible for that contribution are J2-M172 (negative M47, M67, L24, M12), J2-L24, R1a-Z93, Q-M242 and E-M78, the latter of which is typically European, while N is still negligible (1.7%). In an attempt to divide N into subgroups L1034 and L708, some Hungarian, Sekler, and Uzbek samples were found to be L1034 SNP positive, while all Mongolians, Buryats, Khanty, Finnish, and Roma samples showed a negative result for this marker. The 2500 years old SNP L1034 was found typical for Mansi and Hungarians, the closest linguistic relatives. The Székely live mainly in Harghita, Covasna and Mureș counties. They identify themselves as Hungarians, but they maintain a somewhat distinct ethnic identity from other Hungarians. Hungarians form a majority of the population in the counties of Covasna and Harghita. The Székelys of Bukovina, today settled mostly in Vojvodina and southern Hungary, form a culturally separate group with its own history. An autonomous Székely region existed between 1952 and 1968. First created as the Magyar Autonomous Region in 1952, it was renamed the Mureș-Magyar Autonomous Region in 1960. Ever since the abolition of the Mureș-Magyar Autonomous Region by the Ceaușescu regime in 1968, some of the Székely have pressed for their autonomy to be restored. Several proposals have been discussed within the Székely Hungarian community and by the Romanian majority. One of the Székely autonomy initiatives is based on the model of the Spanish autonomous community of Catalonia. A major peaceful demonstration was held in 2006 in favor of autonomy. Since 2013 thousands of ethnic Hungarians march for autonomy every year on 10 March in Târgu Mureș, Romania. 10 March is the anniversary of the execution in Târgu Mureș in 1854 of three Szeklers who tried to achieve national self-determination. Áron Tamási, a 20th-century Székely writer from Lupeni, wrote many novels about the Székely which set universal stories of love and self-individuation against the backdrop of Székely village culture. Other Székely writers include the folklorist Elek Benedek, the novelist József Nyírő and the poet Sándor Kányádi. 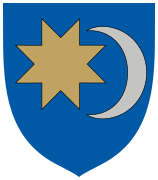 The Sun and Moon are the symbols of the Székely, and are used in the coat of arms of Transylvania and on the Romanian national coat of arms. The Sun and the Moon, the symbols of the cosmic world, are known from Hungarian grave findings from the period of the Hungarian conquest. After the Hungarians became Christians in the 11th century, the importance of these icons became purely visual and symbolic. The Székelys have succeeded in preserving traditions to an extent unusual even in Central and Eastern Europe. A description of the Székely Land and its traditions was written between 1859 and 1868 by Balázs Orbán in his Description of the Székely Land. ^ Archivum Ottomanicum, Volume 20, Mouton, 2002, original from: the University of Michigan, p. 66, Cited: "A few tens of years ago the Szekler population was estimated at more than 800.000, but now they are probably ca. 500.000 in number." ^ Piotr Eberhardt. Ethnic Groups and Population Changes in Twentieth-century Central-Eastern ... Retrieved 26 November 2013. ^ a b "Nota metodologica" (PDF). Insse.ro. Retrieved 26 November 2013. ^ Ramet, Sabrina P. (1992). Protestantism and politics in eastern Europe and Russia: the communist and postcommunist eras. 3. Duke University Press. p. 160. ISBN 9780822312413. ...the Szekler community, now regarded as a subgroup of the Hungarian people. ^ Sherrill Stroschein, Ethnic Struggle, Coexistence, and Democratization in Eastern Europe, Cambridge University Press, 2012, p. 210 Cited: "Székely, a Hungarian sub-group that is concentrated in the mountainous Hungarian enclave"
^ Piotr Eberhardt (January 2003). Ethnic Groups and Population Changes in Twentieth-century Central-Eastern Europe. M. E. Sharpe, Armonk, NY and London, England, 2003. ISBN 978-0-7656-0665-5. ^ Ramet, Sabrina P. (1997). "The Hungarians of Transylvania". Whose Democracy? : Nationalism, Religion, and the Doctrine of Collective Rights in Post-1989 Eastern Europe. Rowman & Littlefield. pp. 67–69. ISBN 978-0-8476-8324-6. ^ a b c d e "Szekler people". Encyclopædia Britannica. ^ a b "Székely". Columbia Encyclopedia. 2008. Retrieved 25 January 2009. ^ "CESCH- Recensamant Populatie 2011 CV Hr". Scribd.com. 27 March 2012. Retrieved 26 November 2013. ^ "The Székelys in Transylvania". Mek.niif.hu. Retrieved 26 November 2013. ^ a b c d Makkai 2001, pp. 415-416. ^ Science, 14 February 2014, Vol. 343 no. 6172, p. 751, A Genetic Atlas of Human Admixture History, Garrett Hellenthal at al. : " CIs. for the admixture time(s) overlap but predate the Mongol empire, with estimates from 440 to 1080 CE (Fig.3.) In each population, one source group has at least some ancestry related to Northeast Asians, with ~2 to 4% of these groups total ancestry linking directly to East Asia. This signal might correspond to a small genetic legacy from invasions of peoples from the Asian steppes (e.g., the Huns, Magyars, and Bulgars) during the first millennium CE." ^ a b Csányi, B.; Bogácsi-Szabó, E.; Tömöry, Gy. ; Czibula, Á.; Priskin, K.; Csõsz, A.; Mende, B.; Langó, P.; Csete, K.; Zsolnai, A.; Conant, E. K.; Downes, C. S.; Raskó, I. (1 July 2008). "Y-Chromosome Analysis of Ancient Hungarian and Two Modern Hungarian-Speaking Populations from the Carpathian Basin". Annals of Human Genetics. 72 (4): 519–534. doi:10.1111/j.1469-1809.2008.00440.x. PMID 18373723. ^ "Testing Central and Inner Asian admixture among contemporary Hungarians (PDF Download Available)". ResearchGate. Retrieved 18 August 2017. ^ Stroschein, Sherrill (2012). The Realm of St Stephen. London: Cambridge University Press. p. 77. ISBN 978-1-107-00524-2. ^ "HUNSOR ~ Hungarian Swedish Online Resources". Hunsor.se. Retrieved 26 November 2013. ^ "Global post". MTI. Retrieved 13 March 2014. ^ "All Hungary Media Group". Hunsor.se. Archived from the original on 14 March 2014. Retrieved 13 March 2014. ^ "The symbols of Szekler National Council | SZNC - Szekler National Council". Sznt.ro. Archived from the original on 28 December 2008. Retrieved 26 November 2013. Wikimedia Commons has media related to Székely. "Szeklers" . Encyclopædia Britannica. 26 (11th ed.). 1911. p. 320.